This Whole 30 approved recipe will blow your mind. 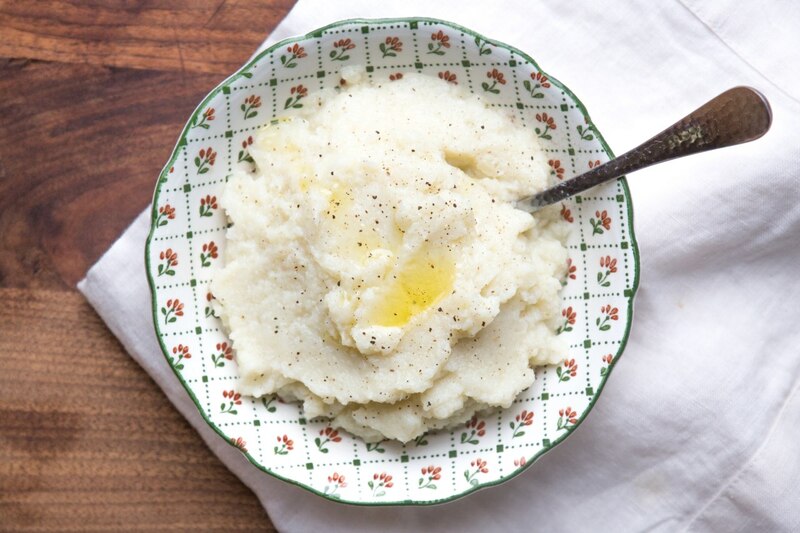 Mashed cauliflower taste very much like mashed potatoes, but with a fraction of the calories. Plus, this recipe requires practically zero prep. 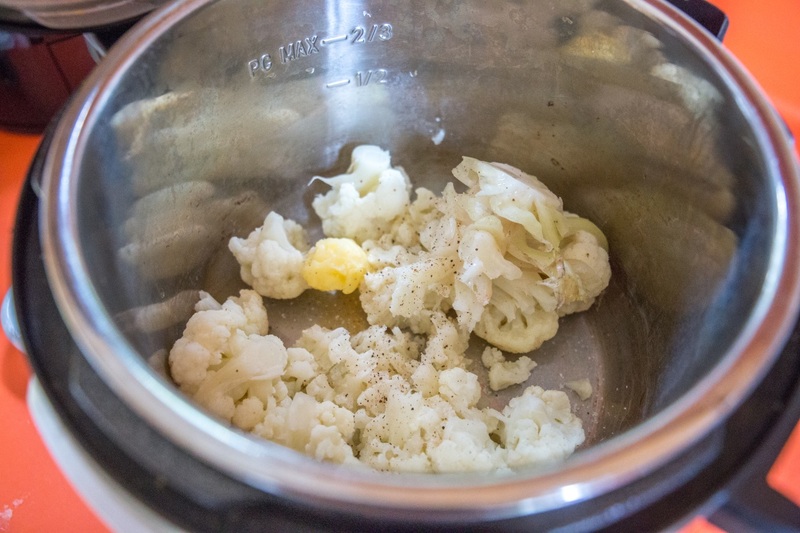 I'm always looking for easy, healthy weeknight recipes to add to my arsenal, and this Whole 30 approved mashed cauliflower recipe became a fixture in my recipe rotation after my husband and I completed a month of the Whole 30 diet this past January. In the Whole 30 diet, potatoes are allowed, but dairy products are strictly forbidden, making traditional mashed potatoes an impossibility. 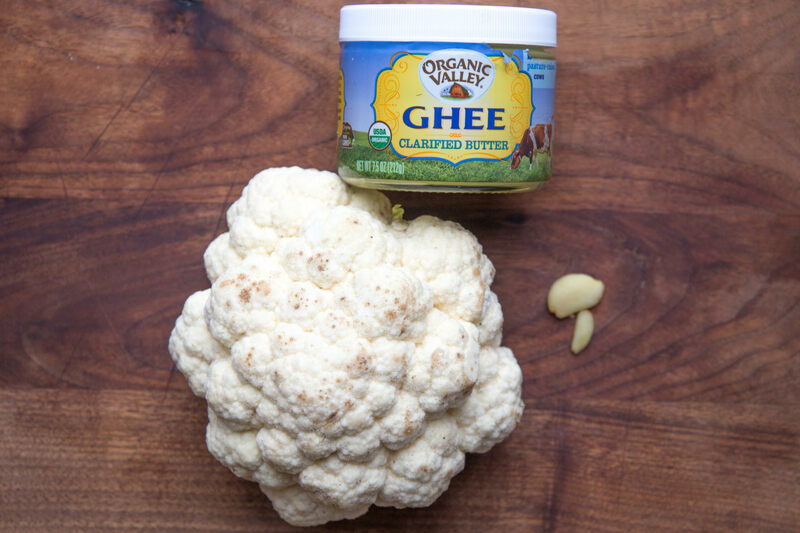 Mashed cauliflower does not require cream or milk to become creamy, just a small amount of butter (or ghee, if sticking to Whole 30) gives it the perfect consistency and flavor. However, you can most certainly add dairy, like we did in this recipe for Pressure Cooker Lamb Chops and Mashed Cauliflower. I love eating mashed cauliflower with bolognese, Mississippi Pot Roast, or Barbeque Chicken over top. All three of those recipes make large batches, so I usually wind up with a container of leftovers in my freezer, and since this mashed cauliflower comes together in just about 15 minutes total, it makes the perfect vessel for serving leftovers over top. 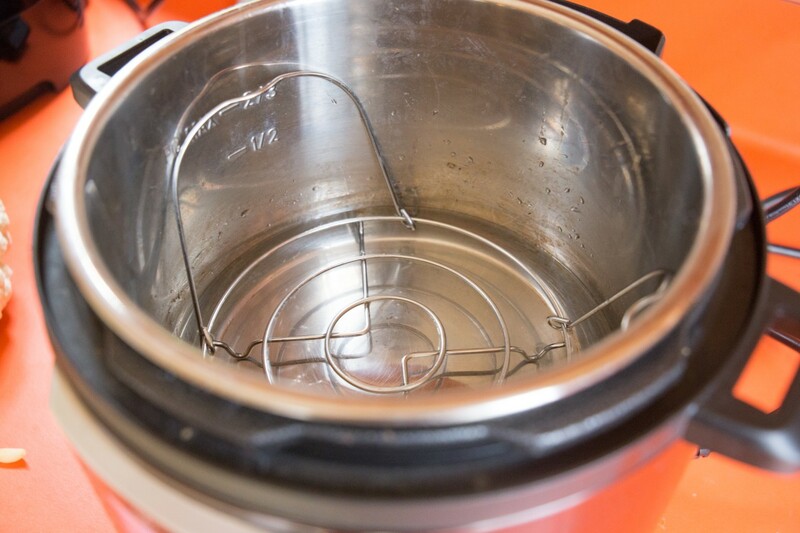 Pour 1 cup of water into the inner pot of an electric pressure cooker. Place the trivet that comes included with your Mealthy MultiPot over the water. Put the cauliflower head on top of the trivet. Perch the garlic cloves on top of the cauliflower so that they don't fall down into the water. Not the end of the world if they fall into the water during the cook cycle, just easier if they don't! Pressure cook on High for 8 minutes. 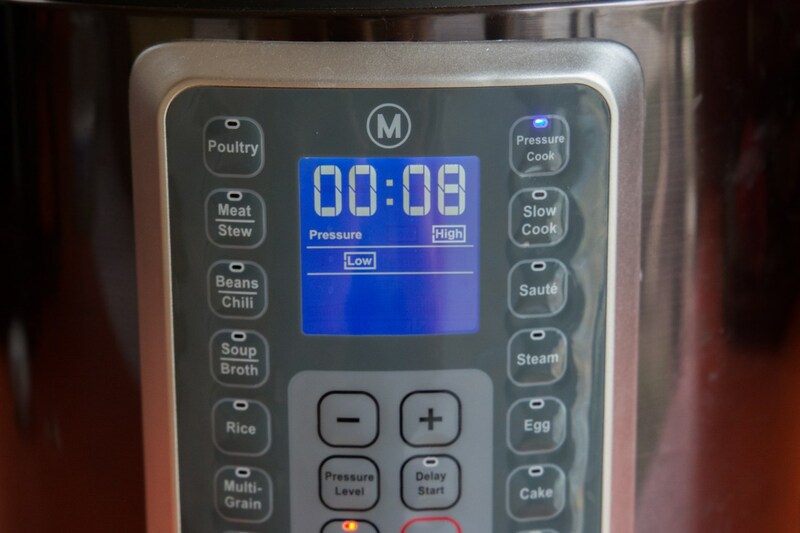 Immediately release the pressure and open the lid after the cook cycle completes. 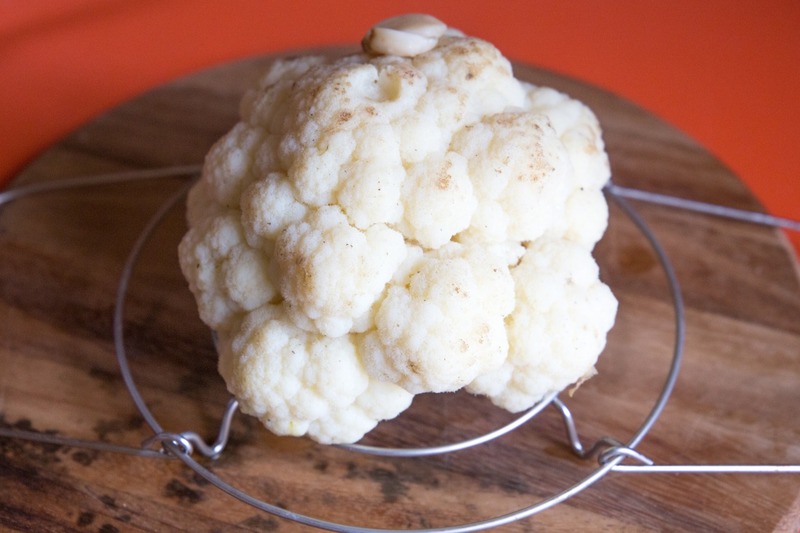 Using pot holders, grab the trivet arms and transfer the cauliflower to the countertop. 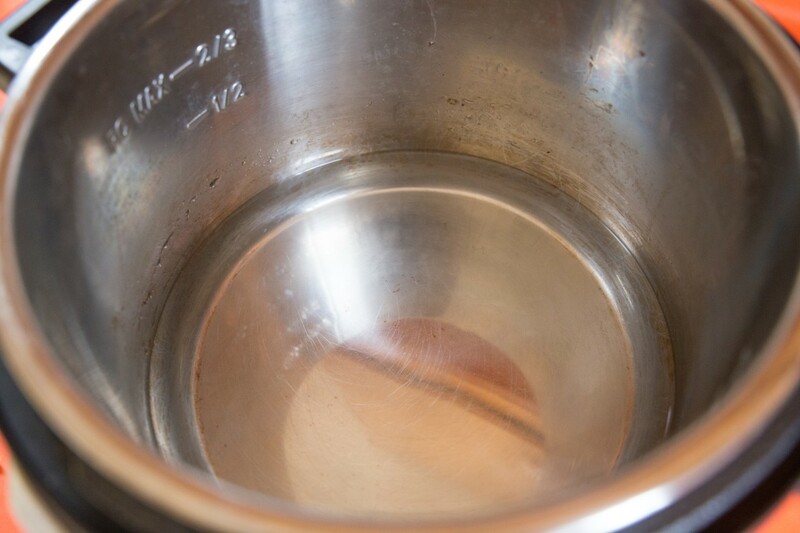 Drain the water out of the inner pot and return it to the pressure cooker. See that little divot in the cauliflower just in front of the garlic cloves? That's from me poking it with my finger. That's how soft it gets in just 8 minutes! 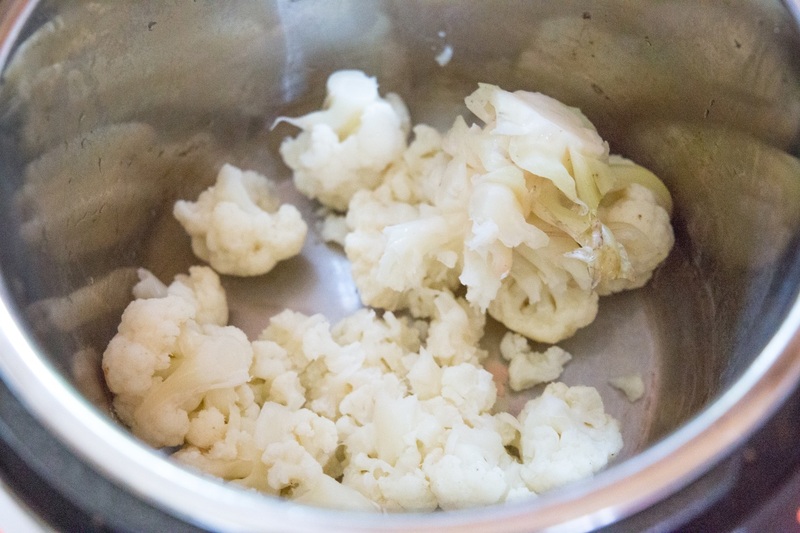 Transfer the cauliflower and garlic from the trivet to the pot. Add the ghee, salt, and pepper. 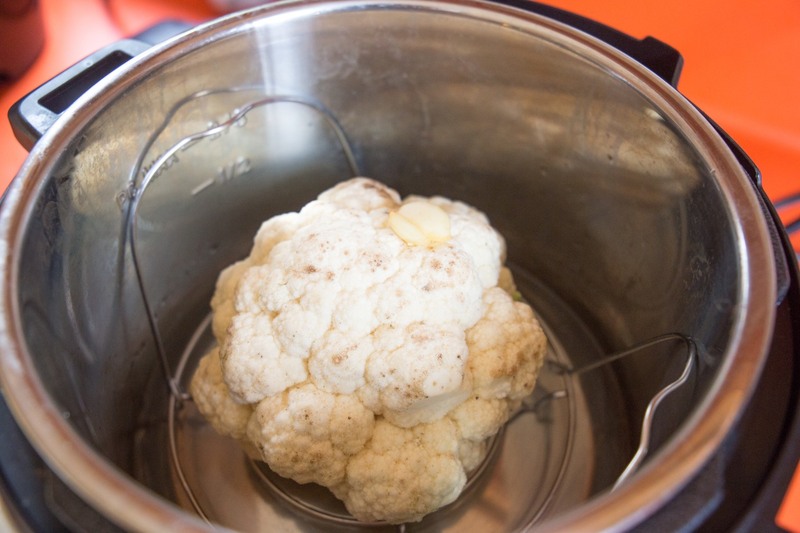 Use a potato masher or immersion blender to mash the cauliflower. You can make it totally smooth, or leave some texture. I like to leave some lumps and bumps... makes it feel more like mashed potatoes! Add an extra pat of butter or ghee, season with a little more salt and pepper, and ENJOY!